As fans are fondly revisiting because "it's that time of year again," Chance the Rapper and Jeremih's Christmas-themed project, Merry Christmas Lil Mama, is definitely a seasonal gem. The creators themselves have decided to give the former SoundCloud-only 2016 release the love and attention it deserves, sharing that they will be releasing a proper extended studio version in time for the holiday season this year. Taking to Instagram, Chance reflected on the project and confirmed that the new-and-improved version will be arriving sometime next week. 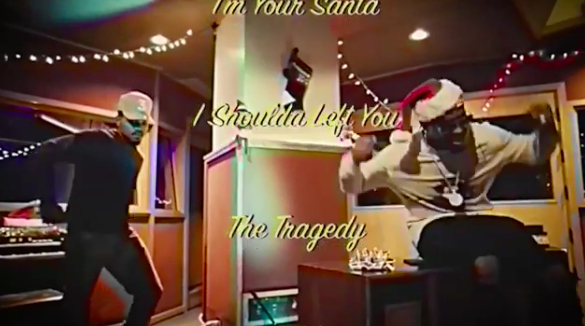 "Me and @jeremih quietly made a free chicago christmas soundcloud project last year and it was so fun we just ran it back," he captioned a hilarious teaser promoting the project. "#merrychristmaslilmama will be available EVERYWHERE next week wit a gang of new altxmas bangerz. Shout Common & Lena Waithe for playing new drums on every track on this project." The promotional clip in question draws nostalgic inspiration from a late night '90s CD commercial, complete with VHS-esque editing and gloriously cheesy graphics. Keep an eye out for the studio version of Merry Christmas Lil Mama next week and check out the new trailer for the project below.